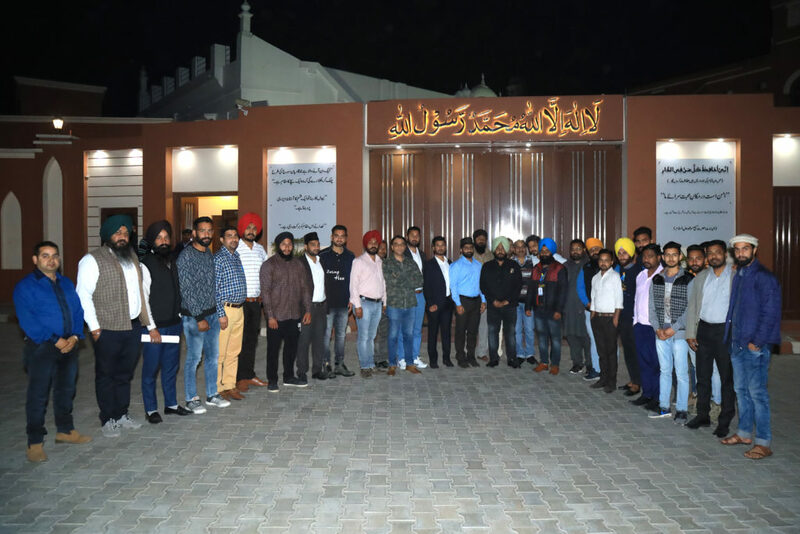 On 23rd March 2019 on the blessed day of Youm-e-Masih-e-Maud (Promised Messiah Day) Majlis Khuddam-ul-Ahmadiyya Qadian conducted 6th “Connecting Hands” program. 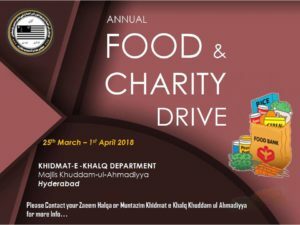 Connecting Hands program is conducted annually, which aims to bring youths of different communities on a common platform to discuss contemporary issues and share concerns on peace, harmony and brotherhood. 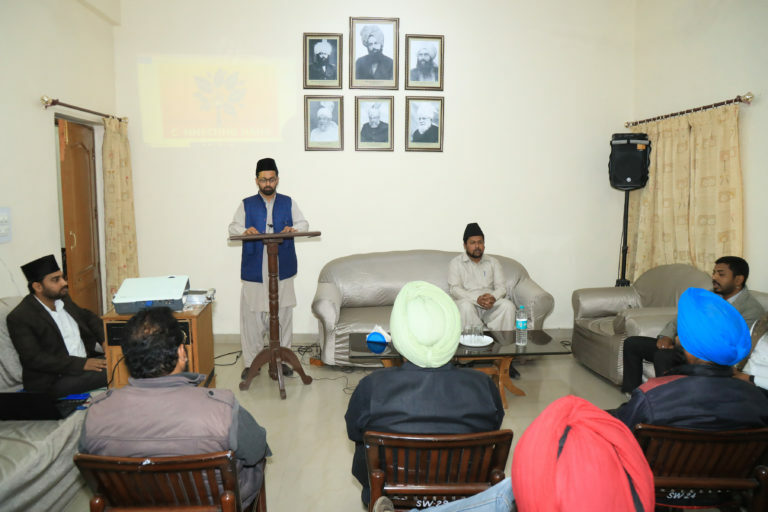 Sadr Majlis KhuddamulAhmadiyya Bharat Janab K Tariq Ahmad Sahib delivered the keynote address. 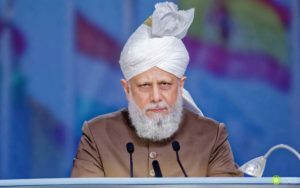 Sadr Sahib mentioned about the imminent threat of nuclear warfare and desperate need for world peace and absolute justice. 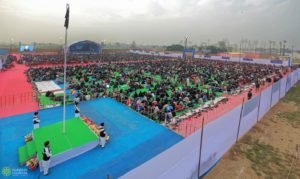 Efforts and initiatives by Ahmadiyya Mulsim Jama’at and Hazrat Khalifathul Masih Vth (aba) were explained to the audience and a documentary was played. 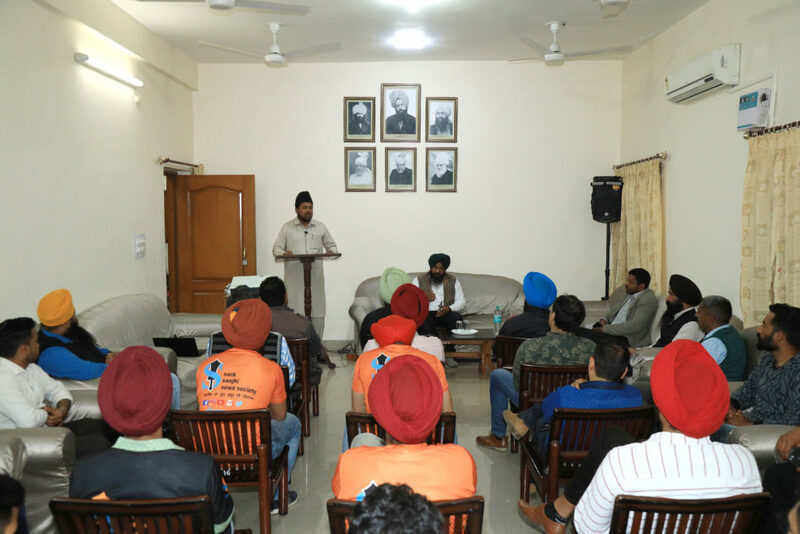 Members of United Sikh federation, Helping hands society, Blood donation society, Shaheed Bhagat Singh club, Sarab sanjhi sewa society, Punjab haryawal society, Master Nirmal Singh lok sewa Manch participated.